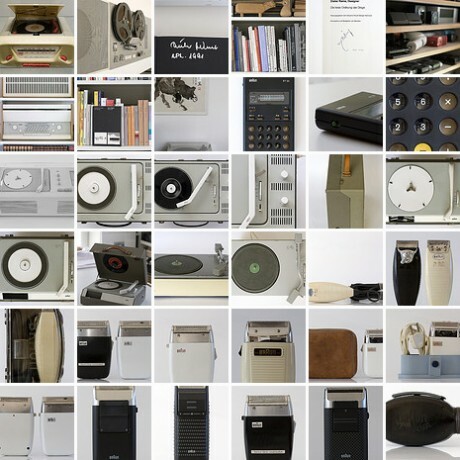 Dieter Rams, most associated with his designs for Braun products claimed; “Objects should be the silent servant”. His view refers to the fact that our interaction with some objects should be that of a transaction, alluding to a type of objects that do not ‘shout out’ at you all the time, but disappear into the background when not in use. We can argue with this position, as there are clearly certain types of objects that possess expressive, emotive and symbolic value that enable us to form a relationship with them… Nevertheless, back in the early 1980s, Dieter Rams was becoming increasingly concerned by the state of the world around him – what he described as “an impenetrable confusion of forms, colours and noises.” He suggested that as design cannot be measured in a finite way he set about expressing the ten most important principles for what he considered was good design. His principles are often referred to as the ‘Ten Commandments’ and stand as a valuable point of reference for good design that embody the values of ‘tranquility, simplicity, balance’, but also ‘liveliness’.